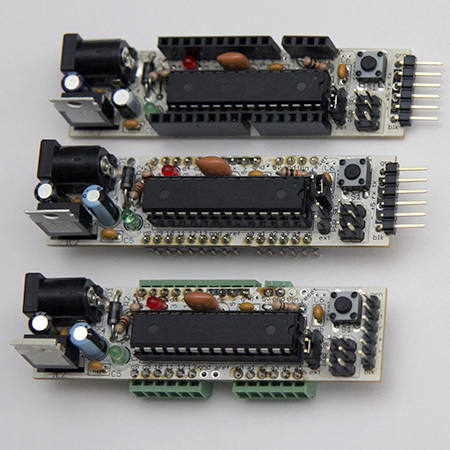 The Arduino Platform is a collection of great and inexpensive micro controller boards, based on Atmel's AVR product line. 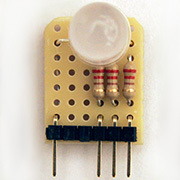 The most popular chip is probably the ATmega168, but many people have started to replace it with the pin compatible ATmega328. 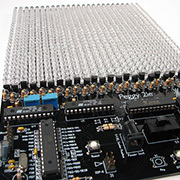 Lately the ATmega644 got more and more popular for more demanding projects. The Arduino community has also created a very intuitive software environment, which can be downloaded from here for free. 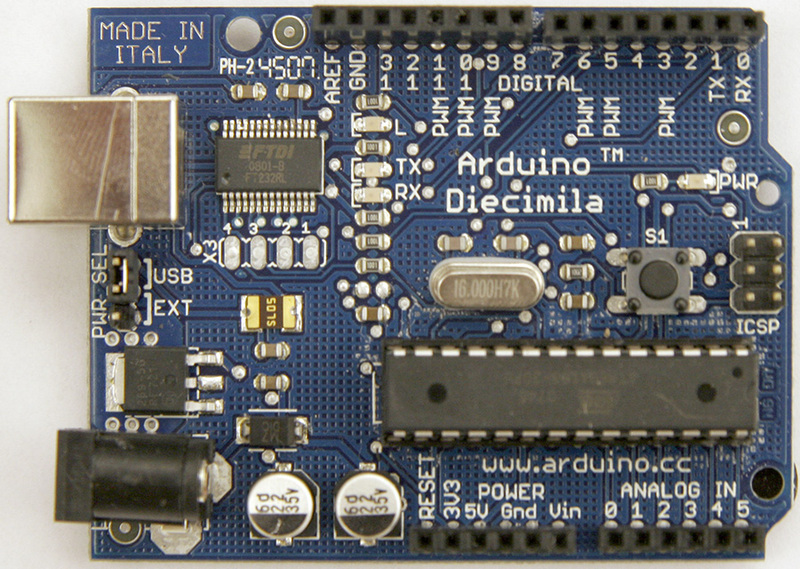 The Arduino Diecimila is a great for beginners. It has been updated and is called Duemilanove now. 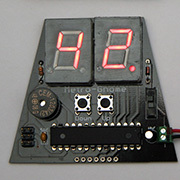 If you are a little more adventurous - the Boarduino is a better choice. 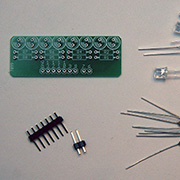 You can buy a kit from Adafruit webshop, but you have to solder it yourself. 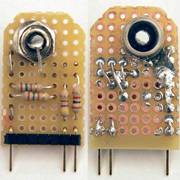 The advantage is, that the footprint is very small and you can decide what kind of header you want to use. 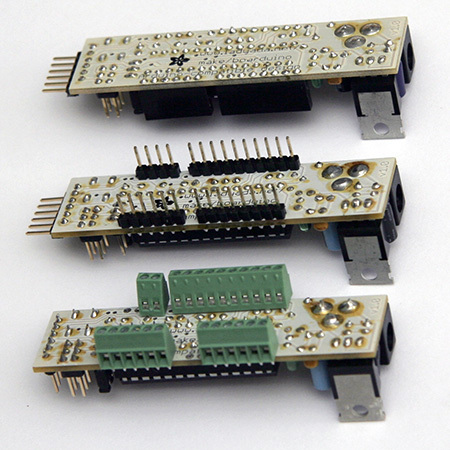 I bought three and put male headers on the first (for bread boards), female headers on the second (for direct wiring to the sensors), and terminal screw-blocks on the third (for really flexible wiring). Only $2 and 20 minutes work. 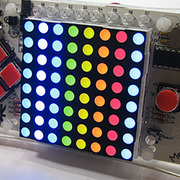 It is great to learn about basic programming, animation, and color mixing. Only $5 and 30 minutes work. It is great to learn about basic animation, but also useful as a bar display. 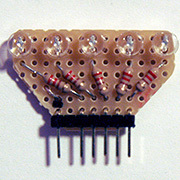 Extension of the early prototype. It is great to learn about basic animation, but also useful as a bar display. Connecting the Arduino to a TV (RCA).